BATON ROUGE — The Livingston Parish School Board recently voted in a unanimous decision to join a class-action lawsuit against the Louisiana Department of Transportation and Development as well as the company responsible for constructing Interstate 12. 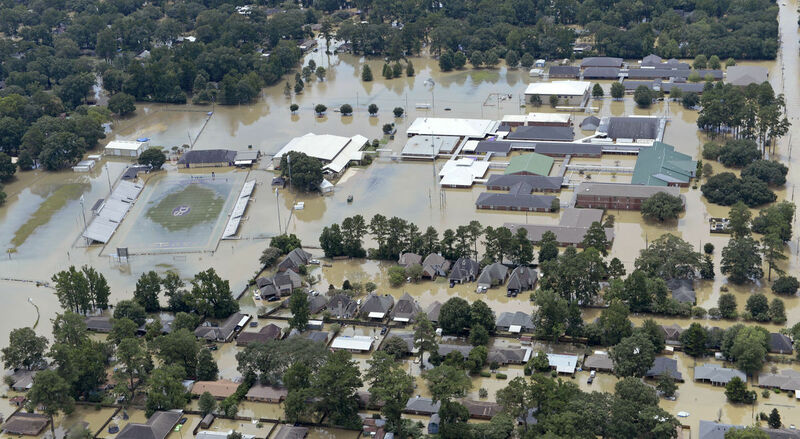 The suit, filed Jan. 5 in Baton Rouge, alleges that the construction of a median on the interstate worsened flooding that occurred in August damaging several of the parish’s schools. The Livingston Board voted Jan. 19 to join the suit, The Advocate reported. The school board joins the cities of Denham Springs and Walker in seeking damages. The plaintiffs’ goal is to prove that the concrete median acted as a dam during torrential rain fall last autumn that impeded the water’s natural flow causing significant damage to public buildings when the water finally did break through. Louisiana’s transportation department intends to use the same design for the highway’s expansion project, a plan that attorney Joshua Palmintier hopes will stop the suit, though it would take a court order to do so, he told The Advocate. Livingston Parish Public Schools Superintendent Rick Wentzel had previously joined the lawsuit and encouraged the school board to officially enter as well. The vote was presented at the school board’s regularly scheduled meeting. The plaintiffs hope that the addition of the district, which suffered significant enough damage for three schools to have them remained closed well into the second semester, will help the case. In addition to the schools, several other buildings including area residences and businesses sustained damage. The cities represented in the suit maintain that the damages are impeding tax collections causing a negative financial impact. The plaintiffs fear that if the 12-mile continuation of the median is completed, the construction will create an even more-disastrous situation for the community in the event of another flood. Palmintier and his team have enlisted the help of hydrologists to investigate and generate evidence of the median’s construction flaws. Want to get notified whenever we write about Louisiana Department of Transportation and Development ? Sign-up Next time we write about Louisiana Department of Transportation and Development, we'll email you a link to the story. You may edit your settings or unsubscribe at any time.